A bride-to-be has criticised a wedding cake made by a young celebrity baker as ‘the ugliest thing I’ve seen’. 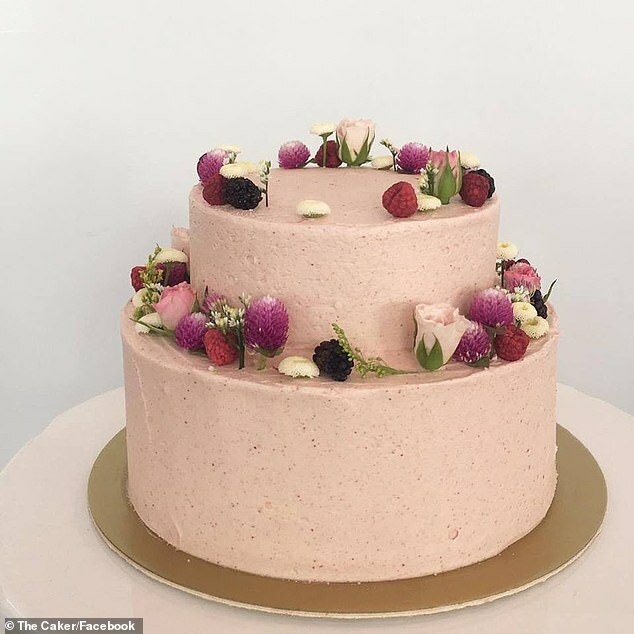 Jordan Rondel, who runs The Caker in Auckland, shared the post of the two-tier wedding cake on Facebook alongside the message she received from the unimpressed bride. 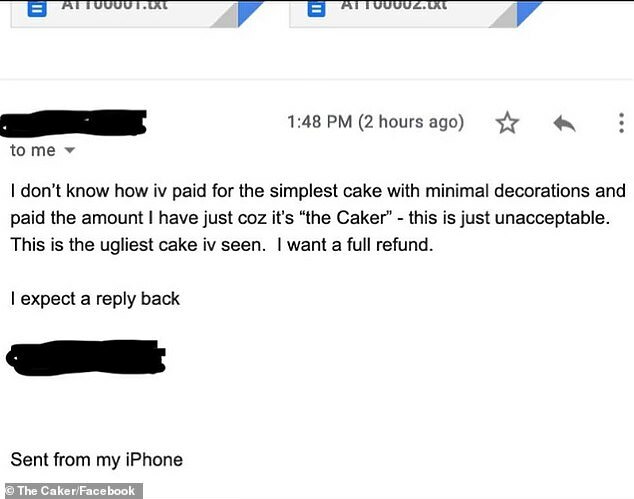 ‘I don’t know how I’ve paid for the simplest cake with minimal decorations and paid the amount I have just because it’s The Caker – this is just unacceptable. ‘This is the ugliest cake I’ve seen. I want a full refund,’ the angry customer said. Ms Rondel said she felt she had given the customer exactly want she wanted but had no other option other than to refund the money. ‘We believe we stuck to the bride’s brief. It was an upsetting shock that she was so unhappy with it,’ she said. She was 21 years old when she opened her business The Caker in 2010. 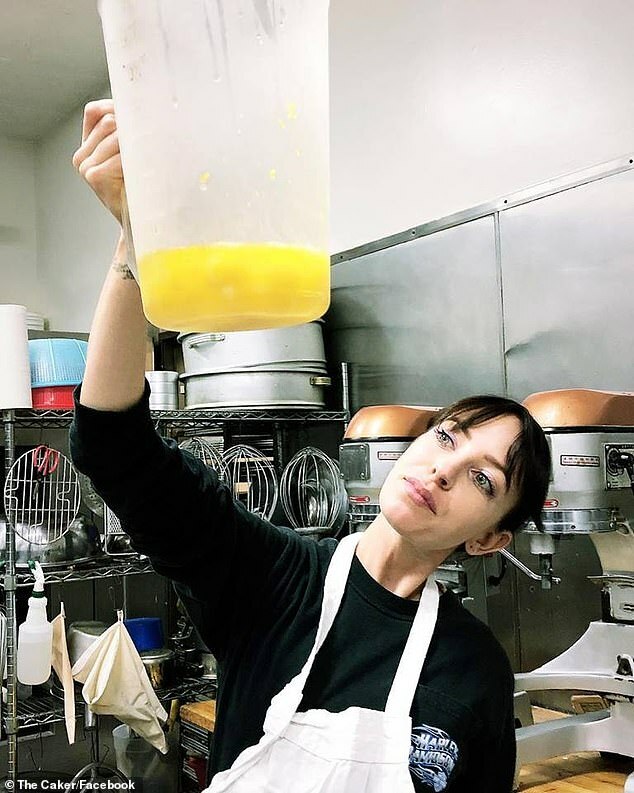 She was inspired to start cooking from a young age while visiting her grandparents in Paris. People commented on the post, defending the baker and complimenting the two-tier floral decorated cake. ‘It’s an amazing cake. Clearly [they] have bad taste as well as being completely unreasonable,’ one person said.